Words, particularly cliches, can be extremely painful for a grieving friend. Cliches are trite comments often intended to diminish the loss by providing simple solutions to difficult realities. Comments like, "You are holding up so well," "Time heals all wounds," "Think of all you still have to be thankful for" or "Just be happy that he's out of his pain" are not constructive. 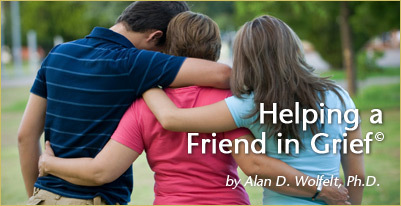 Instead, they hurt and make a friend's journey through grief more difficult.